Finely-textured, arching, golden foliage tufts are topped by nodding purple-tinged panicles in June and July. Lovely specimen for the border or woodland garden. 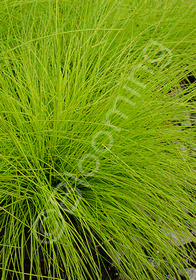 It performs best in rich soil and partial shade.